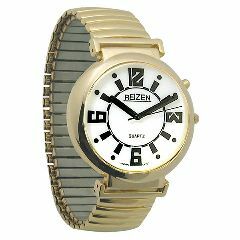 The Reizen Low Vision Watch features an extra wide dial that is 13/4" in diameter, for easy viewing. It has extra large thick hands, large numbers, and a gold finish. Does the lens on this watch open so someone can touch the hands?